Peru is a spectacular destination located next to the Pacific Ocean bordered by Brazil, Bolivia, Chile, Colombia and Ecuador. Peru is appealing for so many reasons, this is one of the most naturally diverse nations in the world with ancient ruins, beaches, mountains and the Amazon. Visiting Peru will be the experience of a lifetime. Find inspiration and ideas for the best things to do if you would like to travel, go backpacking or take a gap year in Peru. Find local & international companies offering the best trips and experiences in Peru. Find inspiration for the best things to do if you would like to book a holiday, travel, go backpacking or take a gap year in Peru. 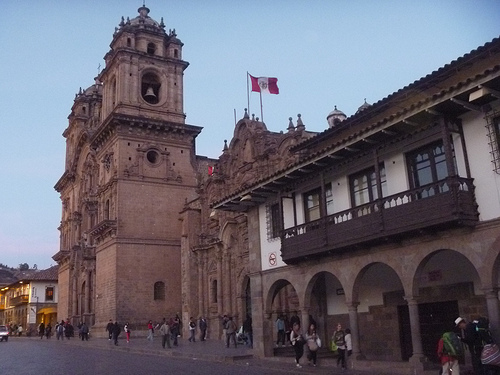 On our guide you can also get information, tips, itineraries and inspiration for visiting Peru. Peru was at the heart of one of the most extensive empires the world has ever seen - the Incas - and even earlier it was the setting for some of mankind’s earliest experiments with irrigation, large-scale agriculture and urbanization. Anyone visiting the vertiginous kingdom will come away awed by a sense of historical vertigo - and a living connection to that history - that simply has to be experienced to be believed. Peru was in fact the setting for one of human kind’s earliest founding civilizations, dating back as far as anything in Europe, Africa or Asia. Pyramid-like structures and similarly grand architecture was developed long before the Pyramids of Egypt and the supposed cradle of civilization in Mesopotamia were established. The ancient civilization of Northern Peru remains an elusive chapter in global history not least because so much of what counts as ‘history’ has been restricted to the European perspective. It is on that basis that the story of the Americas generally is seen in terms of Aztecs (in Central America) and Incas (South America). But those two great empires were in truth merely the contemporary societies that the Spanish encountered when they first set foot on the continent in the 16th century. The story of South American civilization - and Peru in particular - goes way back beyond the admittedly sensational story of European colonization. Recent archaeological work by the Andean Centre for archaeological research, CIARA, has found that the Caral ‘empire’ across the northern territory of present day Peru was a continuous civilization spanning 1,200 years and dating from a point approximately 4,500 years ago. From a western perspective, a striking feature of the archaeological finds from the Caral is the complete absence of any military remains. There is no evidence whatsoever of any form of organised combat. It seems the very nature of civilization in this - one of the oldest collective settlements in mankind’s history - was considerably more peaceful than has been the case anywhere else ever since. What the secret of that peaceful way of life was remains a mystery. Clearly, there is much that we could learn from Peru’s ancient inhabitants. Wrapped around by clouds and shrouded in myths, local legends and a rich history that we may even occasionally catch a glimpse of, Peru is truly unique. It represents a timeless landscape that is the stuff that living dreams - and living history - are made of. And finally, most obviously, and so most easily overlooked, there are Peru’s mountains. So easily rendered as the mere backdrop to other activities, the mountains themselves are a mecca for climbers and outdoor enthusiasts generally. Peru is built for tourists and there are lots of opportunities for you to explore this amazing country. Although Peru is a small country there is certainly a lot to see and do, thousands of people visit every year and it is easy to see why. With peaks exceeding 5000m, coastal deserts, rain-forests, ancient sites and unqiue destinations, Peru appeals for so many reasons. The main tourist hot spots of Peru include Machu Picchu and the Sacred Trail which are undeniably spectacular but there is much to see and experience away from those often overburdened World Heritage Sites. The sites of Tucume, El Brujo, Sacsayhuaman, Tambo Machay, and Puca Pucara are all spectacular in their different ways. For example, Tucume is at the heart of the Lambayeque Valley which runs alongside Peru’s Northern shoreline. The area is rich in historical relics - the valley is home to over 250 ancient pyramids as well as an intricate network of ancient waterways - many of them as yet unexcavated. The Inca site of Moray and the pre-Incan remains at Chan Chan and Pachacamac are also, in their different ways, every bit as compelling. Whether you are backpacking through Peru or traveling in luxury, there is no shortage of spectacular sites in Peru. There are so many cultural highlights, you could visit the desert, explore the Amazon rainforest or seek our history and archictecture in cities and rural areas. 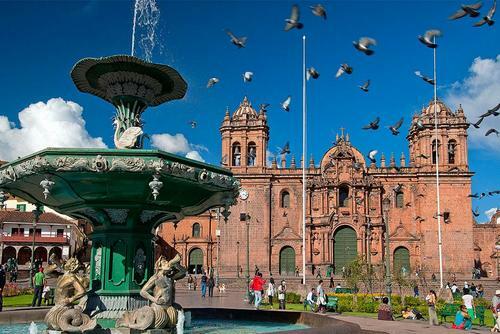 Destinations you might want to add to a visit list, these include the Amazon, Machu Picchu, Lake Titicaca, Urubamba Valley not to mention the vibrant cities of Cusco and Lima. A lot of travelers find Peru to be their favorite country in South America and with so many things to do it is easy to see why. The lush forests and rolling hills could just as easily be a fairytale land as they could be the backdrop to a Jane Austen novel. What could possibly be better than kayaking together down a glistening river, flanked by snow-capped mountains, or hiking up a hill to find that perfect spot to throw down a picnic blanket and watch the sunset? Seeing the Nazca Lines which can also be seen from space! There are numerous hostels and hotels in Peru with budget and expensive options, if you book a program through our website accommodation is usually provided in the price. 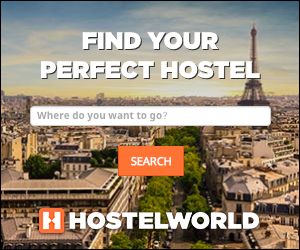 Hotels / hostels are very cheap. There are lots of ways to get around Peru, you can pre-book an experience or you could also try by bus, private van, boar (to some locations) or take internal flights. There are so many bus routes and daily flights which are both cheap. Bus is the cheapest form of transport but journeys can take a long time. There are buses for all budgets, public transport is good whilst there are also luxury buses which include air conditioning and food. Even more earthily, the agricultural roots of civilization may be seen in the claim that such modern day staples as the potato and the tomato originated from - and were first cultivated in - the high plains of Peru. Likewise, quinoa is a traditional Peruvian staple. The modern Peruvian speciality of Cuy - or Guinnea pig as it known in English - may seem oddly exotic to Western tastes today, but it is only a few hundred years ago that the same would have been true of the humble potato. History has a way of not going away. It is important to eat locally when seeking cheap food and avoid the restaurants in the tourist areas of the country. 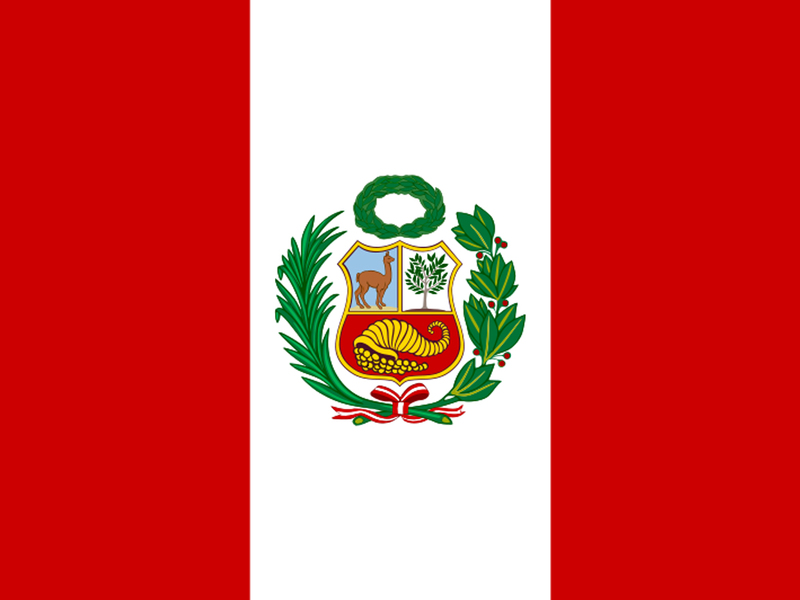 Peru is a safe country and the locals are very accustomed to foreign tourists. Try to travel with others and don't go wandering into any remote areas at night especially in a city like Lima. On some trips you can see an ancient Shamen ritual, but please be careful with local drink as its strong and also drugs its best to avoid. It is important to aclimatize to the alltitude of Peru, drink lots of water and eat healthily. Peru will definitely appeal if you are keen to explore South America, this is a very easy destination to visit as no visas are needed before arriving for most passport holders. There are a lot of different programs and experiences available all year round and you can expect lots of culture, history, tradition, a diverse culture, a great mix of international travellers. Peru has some of the best tourists sights in the world, must visit destinations include Lake Titicaca, the ancient city of Cusco, Sacred Valley and the Misti Volcano. 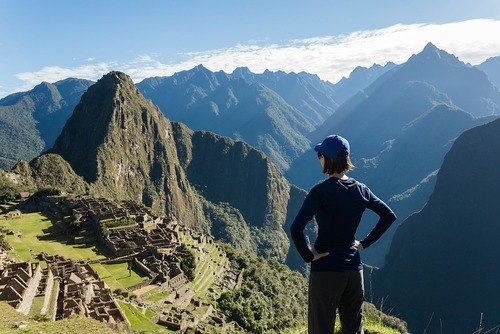 You could also go and see the Nazca Lines or climb the ancient route to Machu Picchu - we list gap year programs for students, career breakers and also a range of adventure trips to ignite your wanderlust. As a backpacker you can stick to the well troden 'gringo trail' or head off the beaten track. This country might not strike you as a beach destination but you can relax on stunning beaches which are some of the best in South America where you can just relax or even learn to surf. For some pursuits, you may need to undergo prior training, or at least practice and acclimatise with your chosen activity. For example, for a climbing adventure to see Machu Picchu, it's best if your first ever attempt is on a practice wall with an instructor, rather than out in the wild. Other ventures can also be done in Peru, such as windsurfing, often require you to have reached a certain qualification before you are able to hire equipment from any outlets. 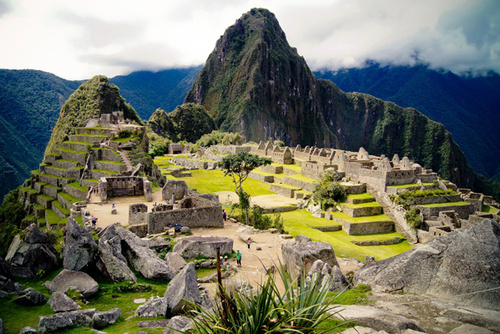 In ancient Inca mythology, Peru was where the world was created and on a tour you will be able to learn about the history and culture of the country. Tours in Peru are popular all year round and the perfect option if you have never visited this continent before. Before going backpacking research all trips, you can choose from a range of locations and there are different types of experiences for all requirements. 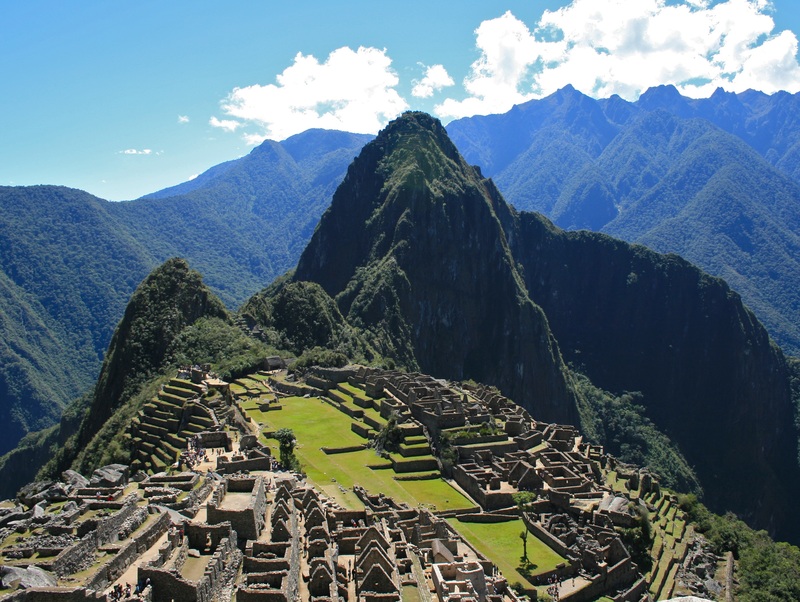 To book trips to Maccu Pichu sometimes you need to book 3 months in advance but if you are on a limited time scale and would like to see Machu Picchu there is a day train trip which can save days doing a trekking trip. You could also join an overland trip in South America and travel through Peru and neighbouring countries. 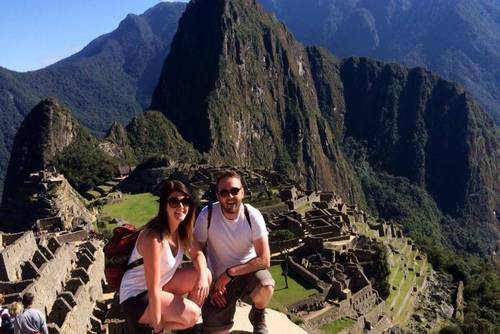 We recommend seeing the Nazca Lines and an adventure trek to Machu Picchu. This is one of the places you cant miss in South America! We list small group tours where you will be able to see as much as possible in a structured way with other international travelers. Traveling as part of a small group tour is a great way to see as much of Peru as possible. You can explore the Amazon Basin or trek through breathtaking panoramaic scenery discovering well-preserved ancient archaeological sites. There will be plenty of opportunities to take amazing pictures of spectacular locations which are acknowledged as some of the best in the world. These really are special journeys which will provide you with an unforgettable experience, you might like to search our Inca Trail and Picchu Tours. Are you wondering what are the best European tour companies to book with are? On One World 365 you can search and compare trips from top rated tour operators including G Adventures and Oasis Overland. Thousands of people travel with these companies every year and they offer highly rated guided tours with positive feedback and reviews. Typical group sizes are around 10-18 travellers with an average of 12 but this can vary between the tour and operator. On most tours you will travel overland in a private small tour van. For day trips and excursions sometimes you will use public transport and sometimes use internal flights to allow you to see the highlights as quick as possible. Our tours are perfect if you are travelling solo and would like to meet other people and travel in a group. You will get to meet other international travellers and get taken to the best locations in the country with an experienced guide. Backpacker tours of Peru are very popular so book well in advance to secure a place. Aside from its inescapable historical attractions Peru offers a rare luxury of flora and fauna. Birdwatchers will delight in the presence of more than 1,700 different species - more than any other country on earth. The rainforest of the Eastern Andes in both the high forests and those of the lower Amazon region constitute ecological conditions that are unique in their conjoined character and abundant in the variety of wildlife they support. 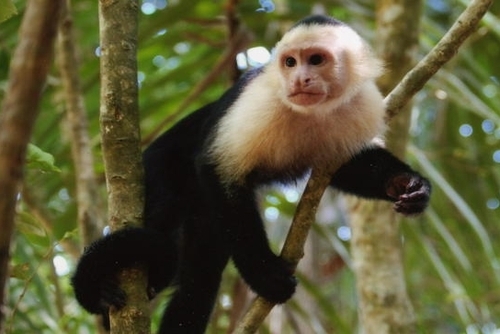 The forests are home to 34 species of primate, 361 different mammals, 297 species of reptile and 251 amphibians. It is a uniquely diverse natural habitat. But the rainforest is not merely home to exotic wildlife. Amongst the 2.5 million square miles that the rainforest covers - extending well beyond the borders of Peru itself - it is estimated that there remain human societies and cultures that have never experienced any formal contact with the modern world. From one perspective it is tempting to say that these remnants of the Bronze Age represent a living window into our distant past. A more jaundiced view might suggest they also offer a disturbing means by which to gauge our own world view - as described in Daniel Everett’s best-selling “Don’t Sleep There are Snakes”. Peru is unquestionably a destination that makes you think. One of the most popular reasons to visit is to see exotic wildlife in the Amazon. These trips are incredible! You will get to see exotic wild animals like elephants and orangutans and get photos and memories to last a memory. If you need any help booking a trip to Peru please get in touch.